We are a strategic and operational HR consultancy providing a comprehensive range of professional, tailored services to small and medium sized business. Based near Bath we are ideally located to support businesses along the M4 corridor and across the South West regions. At KeystoneHR we are passionate about delivering HR solutions which support your business objectives and ensure you stay on the right side of employment legislation. We quickly understand your business, its culture and your people so we can provide honest, sound HR advice which is commercial, practical and, importantly, value for money. With our professional support and advice we really can help you achieve your business goals. So whether you simply want occasional advice, a fully outsourced HR service or something in between, please do get in touch. 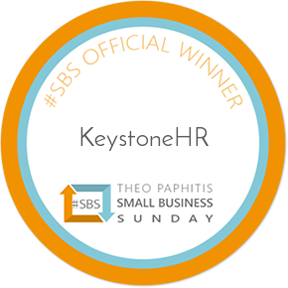 What I really enjoyed and found so wonderful about KeystoneHR is how professional & efficient they are whilst having a genuine way that helps build a trusting relationship. Caroline helped me build the ultimate package for my staff with my own personal touch. Precision, quality and knowledge puts them above the rest. KeystoneHR was founded by Jo Kangurs, an HR specialist with over 13 years experience in a variety of sectors. We offer a range of services from every day and strategic HR to staff recruitment and training. Find more about some of the businesses we have helped and the services we have provided them with.